South Korea are standardized (one thing we lack here) the diameter is usually 14-15cm, substrate (ww) is 1kg. What struck me was one farm that harvest only one flush and throw all the bags away (this is due to high costs High costs the farm incurs) they can’t afford the second flush, substrate is made such that the first flush is heavy and subsequent flushes are insignificant even if they were allowed. 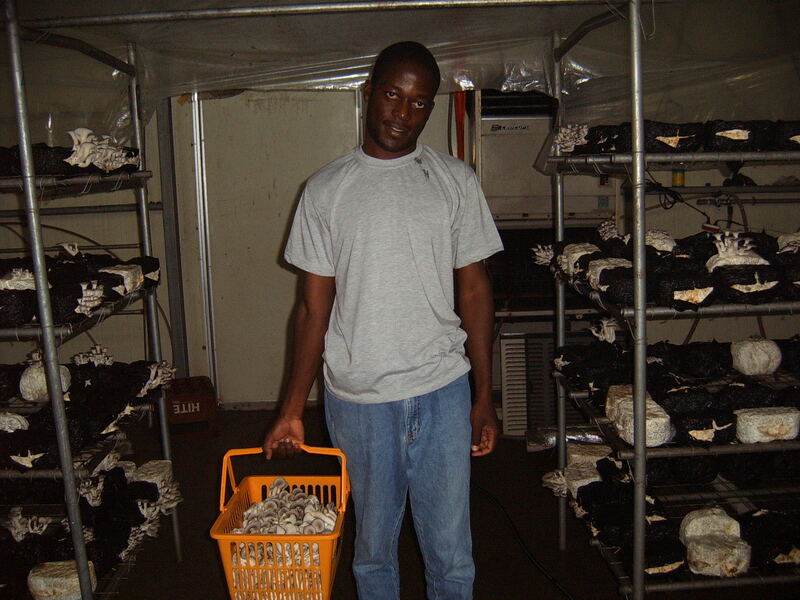 mushrooms have a long shelf life, better in taste- mushrooms are graded usually in t trtree grades, the honest truth is that what most growers sell here is not sellable in Korea and other countries as the mushrooms are too big and have a poor taste. to learn a lot on the behaviour of mushrooms. that farmer stack bags on the shelves. I hope the image will tell more stories than the ones I have high lighted. This entry was posted on 27/09/2011 at 11:56 and is filed under Uncategorized. You can follow any responses to this entry through the RSS 2.0 feed. You can leave a response, or trackback from your own site.